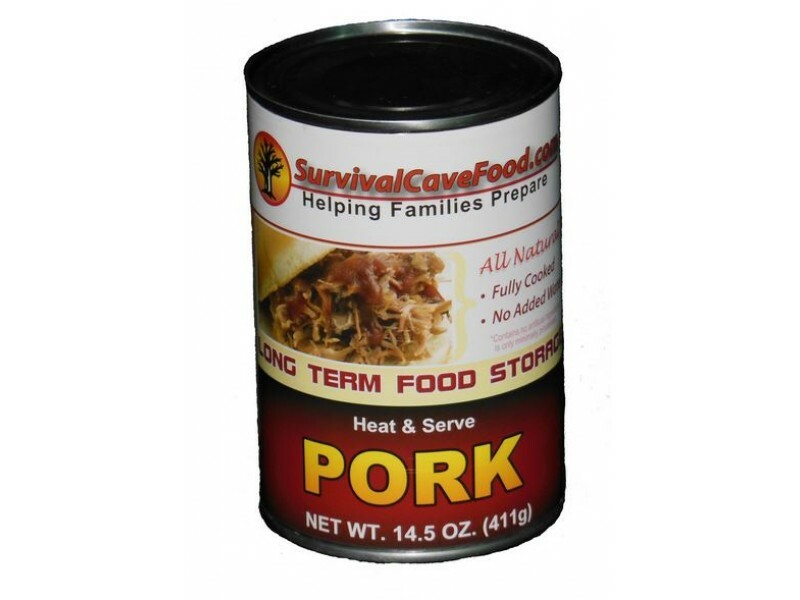 Survival Cave Food Canned Pork 14.5 oz. Canned Pork Long term food individual can. 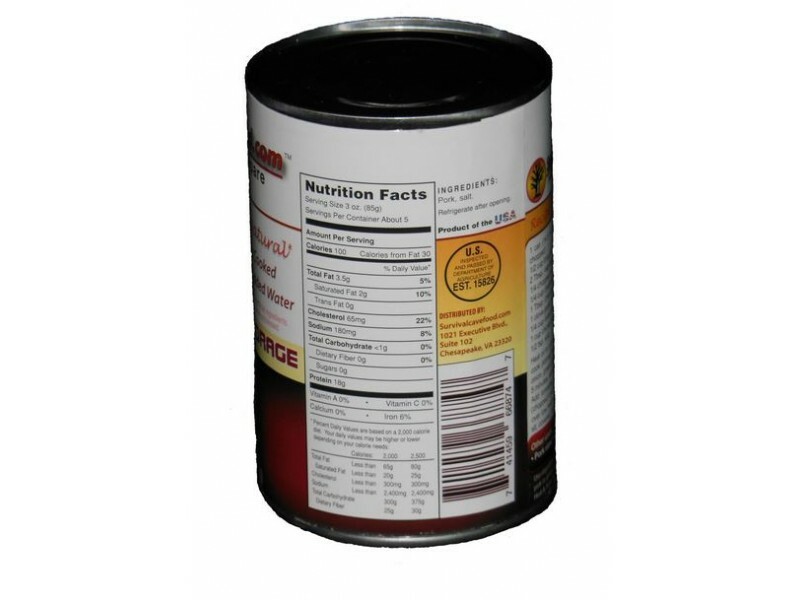 14.5 ounces can having 5 helpings Does your present canned food storage system incorporate adequate long term meals? Will you be missing the necessary proteins like a canned pork could supply? This canned pork is just what you'll need when in emergencies. Canned Pork Long term food individual can. 14.5 ounces can having 5 helpings Does your present canned food storage system incorporate adequate long term meals? Will you be missing the necessary proteins like a canned pork could supply? 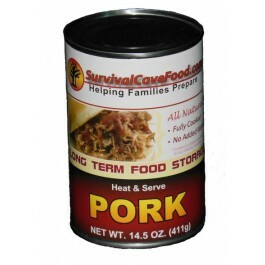 This canned pork is just what you'll need when in emergencies. 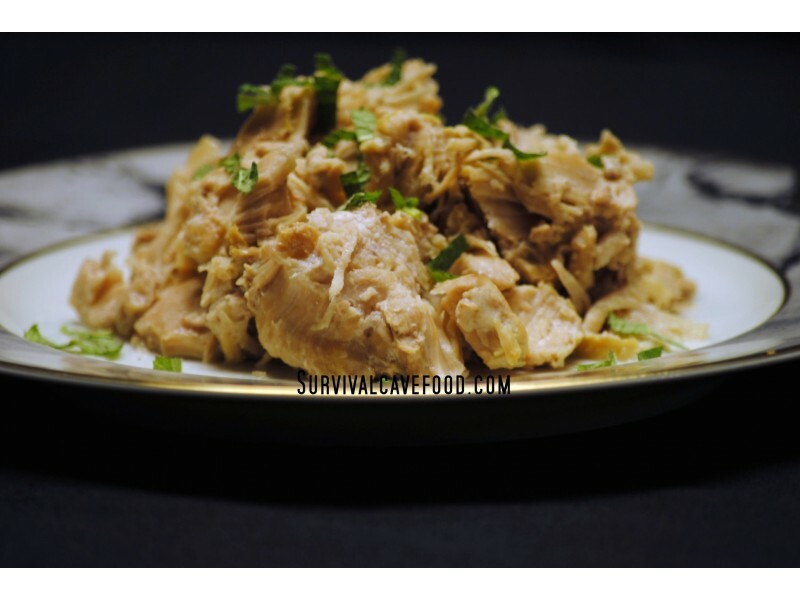 Why Survival Cave canned food storage meats? Our meats are processed in a manner that makes them ideal for any kind of canned food storage program. It is the finest quality meats in the marketplace and its hand packed into convenient 14.5 ounces cans. Life expectancy How long will this canned meat really last? All of our canned meats are prepared in a completely different method compared to most canned meats available in the market. These are slow pressure cooked at a suprisingly low Two hundred and forty degrees as well as have NO EXPIRATION date. An acceptable life span is approximately 12 -15 years however, many individuals trust it may well last 30 - 35 years or perhaps longer.